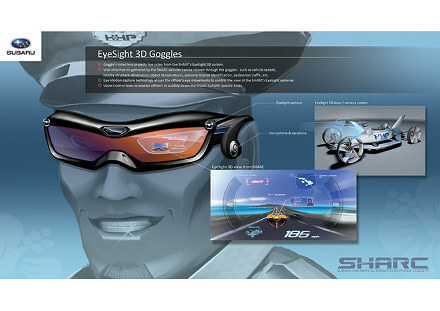 Subaru's zero-emission SHARC (Subaru Highway Automated Response Concept) aims to patrol Hawaii in the future. 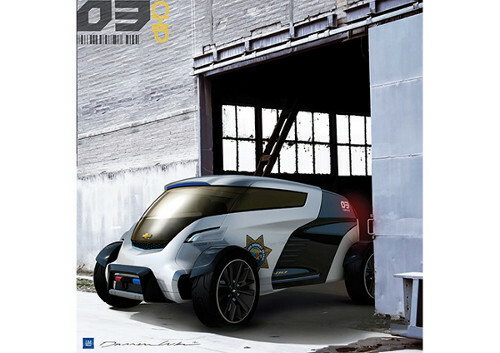 The future of law enforcement vehicle design went on display at the L.A. Auto Show this week (Nov. 30 - Dec. 9) in the form of the show's ninth Design Challenge competition. 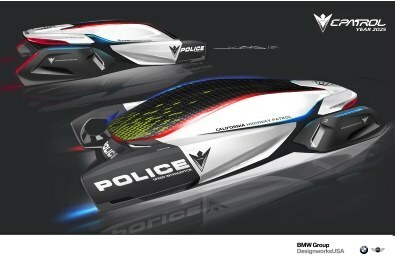 "Highway Patrol Vehicle 2025" was the theme this year, and way-out-there concepts were the norm, as six auto design houses from around the world competed to retool the looks, features, and functions of the vehicles officers drive and fly. You may not think all the concepts are jaw-dropping, but many of them proved to be drone-dropping, as autonomous, multi-vehicle systems were presented by several design teams. GM, BMW, Mercedes, Subaru, Honda Americas, and Honda Japan participated in the event. The Design Los Angeles Board of Directors put forward the challenge requirements: "The vehicle should empower highway patrol officers to meet new demands and effectively both 'protect and serve' the public while considering not just enforcement needs but emission concerns, population growth, and transportation infrastructure, among other trends." Entries were judged based on various factors, including: consideration of future needs for advanced technology; speed and agility on future freeway systems; creativity of the solution; meeting the defined region's mandated emission standards if applicable; and environmental sensitivity when it comes to maintenance and recyclability. The far-out entries and their official descriptions submitted to the show are presented below. Most of the concepts were big on ideas and short on details, but the proposals are fun to check out anyway. WINNER: Subaru Research and Development, Inc.
With the grand opening of Hawaii's sparkling new inter-island Paradise Highway, Subaru debuts the cutting-edge SHARC (Subaru Highway Automated Response Concept). SHARC highway patrol vehicles will provide an innovative, affordable, and environmentally conscious solution for 24-hr highway monitoring, protection, and rapid emergency response. Meeting Hawaii's strict UltraGreen carbon-neutral environmental regulations and reflecting a trend for reduced highway patrol budgets worldwide, zero-emission SHARC vehicles are powered by renewable energy and operate autonomously, eliminating the need for a large full-time highway patrol staff. 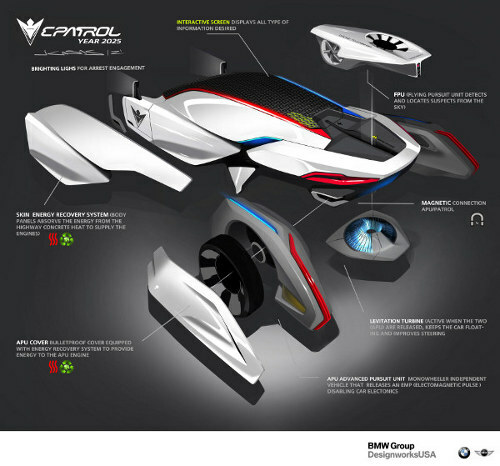 The BMW Group DesignworksUSA team chose Los Angeles as the region to create a 2025 scenario for the E-Patrol (Human-Drone Pursuit Vehicle). Their research predicted that Los Angeles would have more traffic, faster vehicles, and vehicles with alternative fuel sources. The design centered on a modular structure and drone technology that enhanced both teamwork and accessibility. 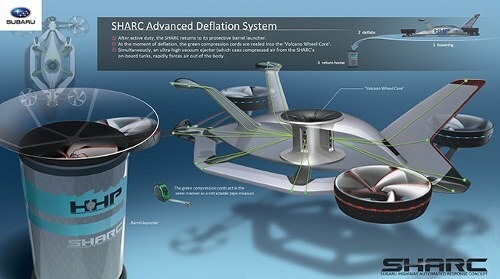 The main structure can deploy three drones. 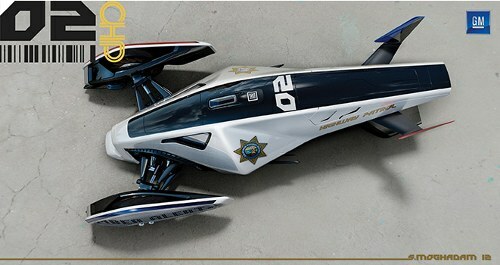 In the case of a pursuit during heavy traffic areas, the patrol officer sitting in the two-passenger main structure can deploy either the flying drone or one of the single-wheel drones to chase the suspect and report back data to the main structure. General Motors has created a new electric vehicle system, the Volt Squad, to meet the challenge of a highway system now brimming with cutting-edge technologies. The Volt Squad is a three-vehicle fleet designed around the concept of OBSERVE, PURSUE, and ENGAGE. Each vehicle has a clearly defined situational role; delivering superior flexibility, presence, and capability for the CHP. At the core of the vehicle's architecture is the VOLT's advanced electronic propulsion system. 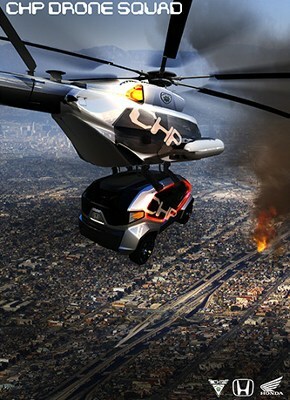 Honda Advanced Design has created the CHP Drone Squad, a vehicle-based system for 2025 designed to work efficiently and seamlessly in the harsh environment of California highways without the need for new infrastructure. 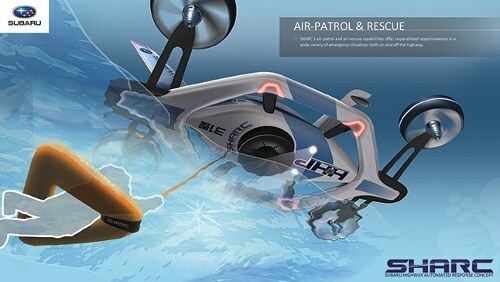 The Drone Squad is comprised of a two-vehicle system. The Auto-Drone operates as a manned or unmanned mission-control vehicle that deploys Moto-Drones on the move. 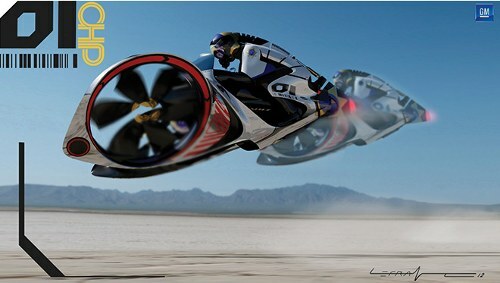 Moto-Drones are un-manned motorcycles capable of being rigged for multiple response or rescue missions. By 2025, law enforcement officers will need to adapt to even more crowded roads with electronically monitored and controlled traffic, a much larger population, and changes in human behavior. 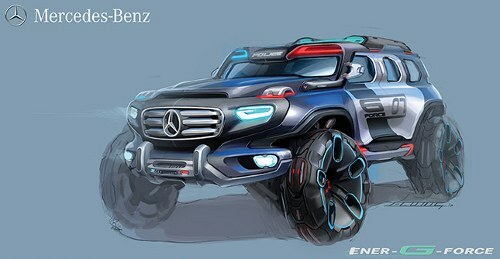 As the most environmentally friendly SUV, the Mercedes-Benz Ener-G-Force meets these requirements and helps police and crews around the world. 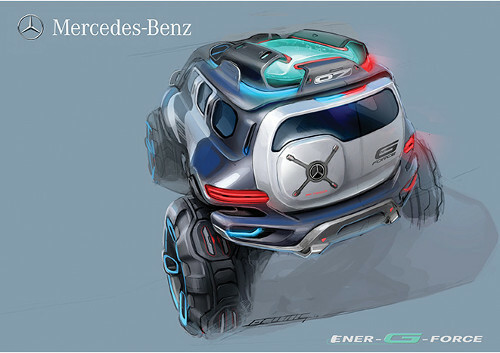 In terms of design, the Ener-G-Force is based on the G-Class, the off-road icon that has been in production since the 1970s and continues to shape the future as a structurally and technologically advanced SUV. Honda R&D Japan's "CHiPs" 2025 Traffic Crawler offers key features that the central office of the California Highway Patrol needs as they adjust to changes in the traffic environment in 2025. In addition to conventional traffic problems, vehicles freed from environmental constraints are getting bigger. Despite the transition period to safe automatic driving, the traffic environment is again becoming confusing and challenging as California resumes its once-flourishing car culture. In response to the need for strict traffic enforcement, Honda designed a new patrol vehicle that offers sporty mobility with the toughness to respond in severe traffic situations. Copyright © 2012 by Nelson Publishing, Inc. All rights reserved. Reproduction Prohibited.